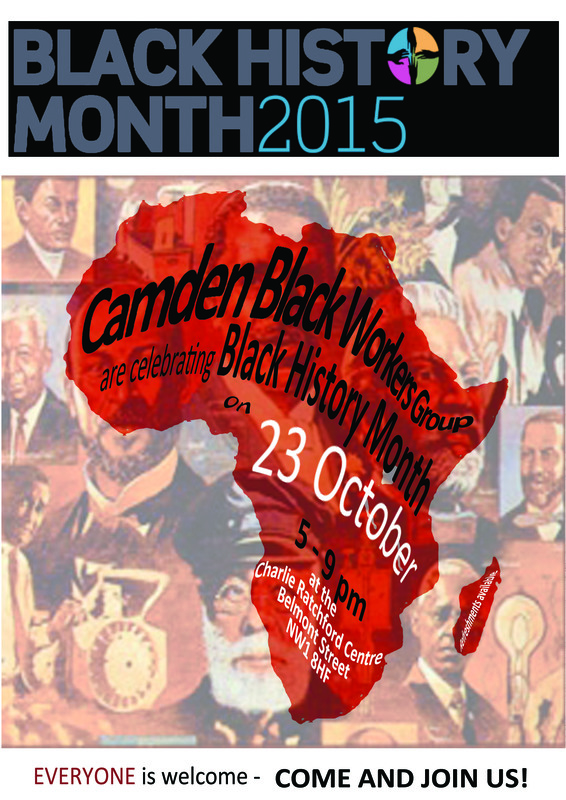 Camden Black Workers’ Group is having an event to celebrate Black History Month. The event will be on 23rd October 2015 from 5pm to 9pm at the Charlie Ratchford Centre, Belmont Street, NW1. The event theme is around Inventors and Innovators. There will be a presentation by Co-Founder of the Black Heroes – Hall of Fame, health talks, a quiz, a raffle, entertainment and refreshments. Everyone is welcome as well as friends, family, young and old.